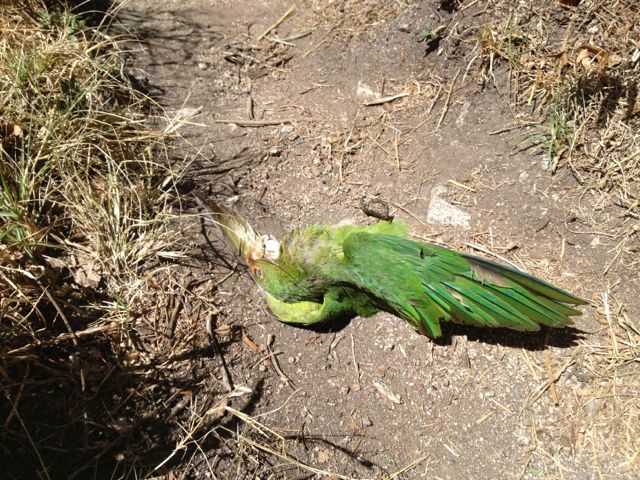 This is an example of the dead birds we find in our neighborhood. Follow this link for a list of birds in our region. These are either Mitred Parakeets or Scarlet-Fronted Parakeets. Peter and I are voting for Mitred Parakeet. 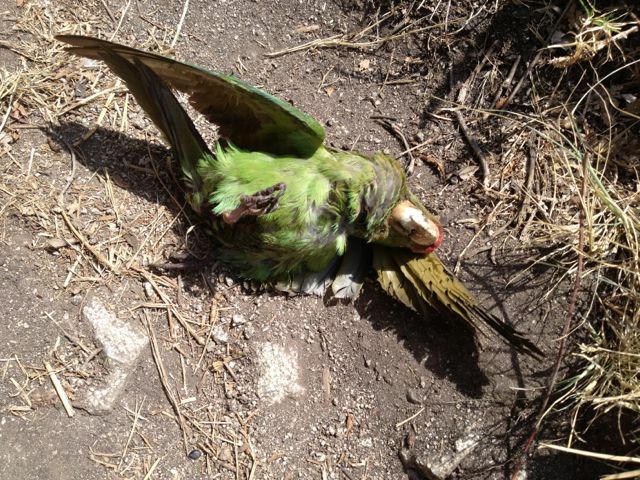 This entry was posted in Peru, Peter, Will and tagged Mitred Parakeet, Scarlet-Fronted Parakeet by cairesonmission. Bookmark the permalink.